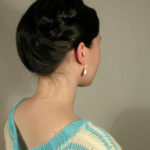 I’ve made this late Edwardian low coiffure (the second picture in the first row). 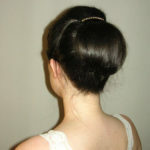 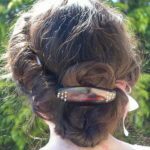 I’ve parted the hair from ear to ear, and made a small pouf on each side of the head securing it with pins. 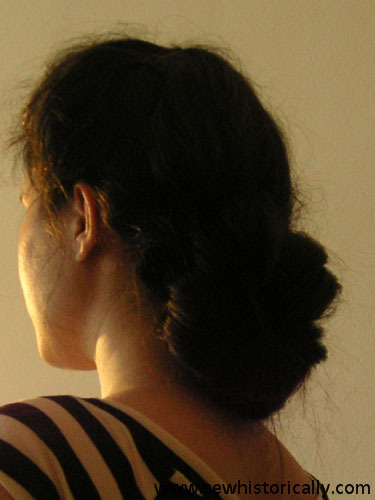 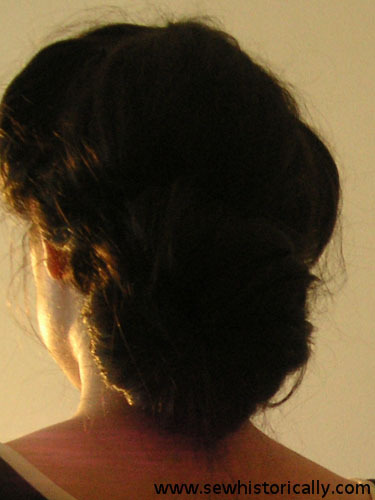 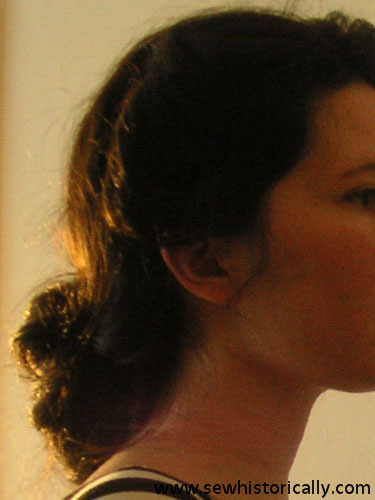 Then I’ve gathered all hair to make a sock bun at the nape of the neck. 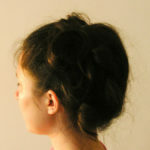 Here’s an Edwardian photograph of a similar hairstyle.